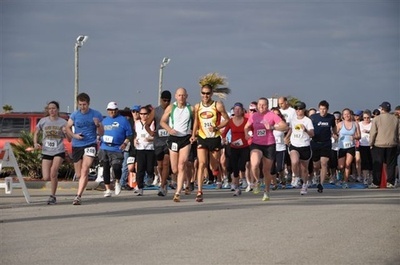 Benefit for the "Water for Wildlife Fund"
$5 of every Registration Fee goes to the "Water for Wildlife Fund"
The event includes a 2-Mile walk, 5k run, and 10k run, which will take place in the park and along the waterfront. There will be awards for the first three finishers in each age category, overall male/female top finishers and Master/Grand Master age brackets. Entry fee is $25 in advance of the race and $30 on the day of the event. Live music, refreshments, and door prizes add to the excitement. Registration and packet pick up are at the Little Bay Pavilion starting at 6:15 am. The Strut will begin at 8 am.